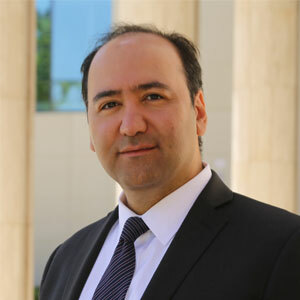 Kaveh Mirshafiei is Of Counsel at Palo Alto Legal Group, P.C, and focuses his practice on real estate transactions and litigation and general business and civil litigation. Kaveh received his Juris Doctor degree with a Certificate in Business Law from Lewis & Clark Law School in Portland, Oregon, in 2012, where he served as an editor of Lewis and Clark Environmental Law Review. While attending Lewis & Clark Law School, Kaveh interned with Lewis & Clark Small Business Legal Clinic, where he assisted small businesses in the Portland metropolitan area with various business and employment law matters. Kaveh has also served as a judicial extern at the Superior Court of California, County of Santa Clara. Kaveh received his Bachelor of Arts degree, with honors, from the University of California, at Los Angeles. Kaveh also holds and Associate of Science degree in Electrical Engineering. Throughout his practice, Kaveh has successfully represented individuals and businesses in cases involving partnership disputes, business disputes, real estate transactions, and various civil litigation matters. Kaveh is fluent in Farsi.